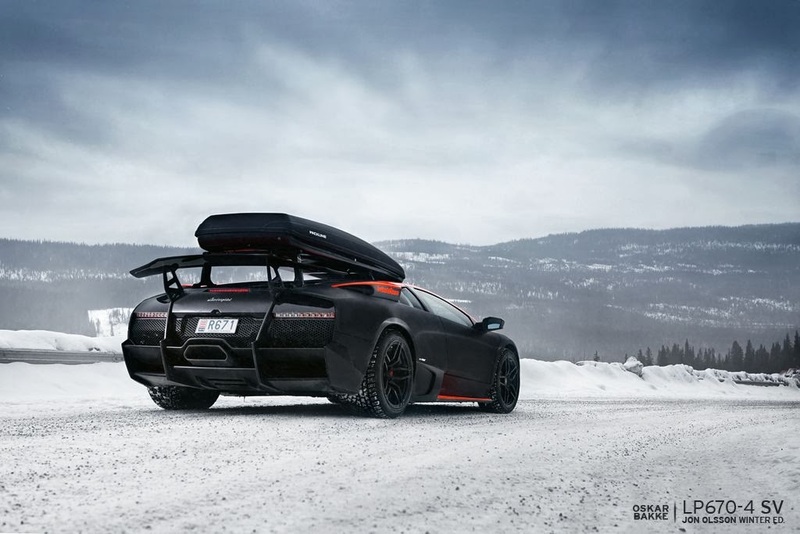 Jon Olsson has revealed out photos of his new Lamborghini LP670-4 SuperVeloce. 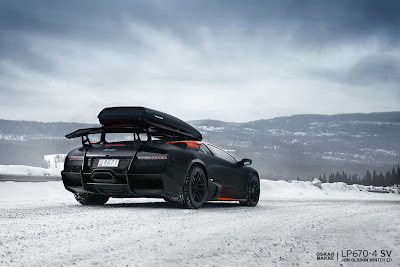 Like his previous Murcielago LP640, this car is also matte black with a roof-mounted cargo box for his skis. 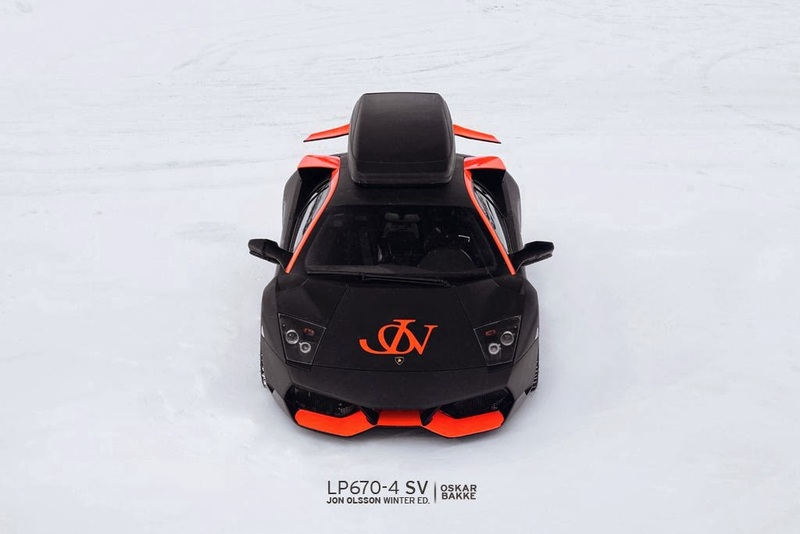 Unlike the LP640, this car is also somewhat arrogantly emblazoned with Olsson's initials in orange. The same color is also used to highlight certain parts of the vehicle's body. 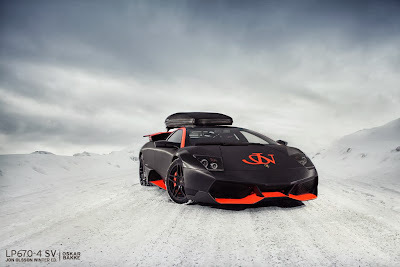 Turning such a nice car into a rolling billboard is a bit disappointing, and it does look ridiculous with the ski box on top. Still, it probably looks good enough to be parked in front of the Monte Carlo Casino in Olsson's adoptive country, Monaco. Swedish taxes are pretty heavy. This picture was sent to me by a freind, Taken in Dahyat Abdullah Al-Salem. This is how thier "Khadama" do the morning shopping for the "em3azzeb".